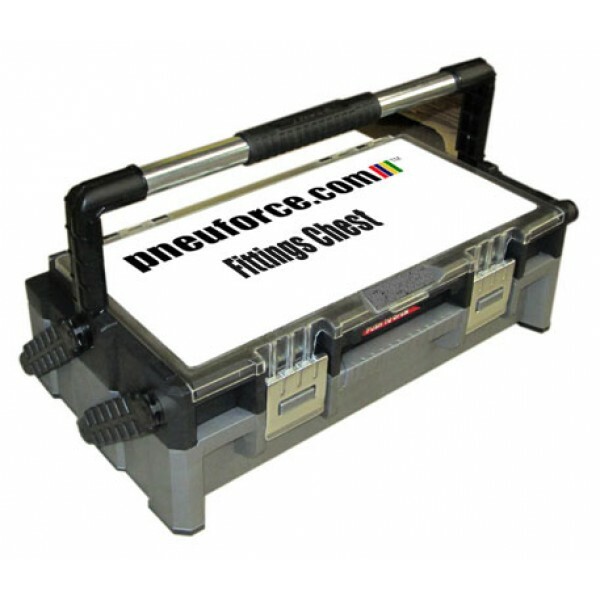 Fittings chest contains two layers of pneumatic push in fittings offering the user a complete offering of maintenance type tube connections. Available in two versions with inch or metric tubing. Please note 5/32" and 5/16" are the same as 4mm and 8mm diameter respectively. Hold and Includes 420 Fittings!